Of course, you want to protect your kids. We all do. But are you turning into an overprotective parent who actually may be hindering your child's full potential. Watch out for the 9 tell-tale signs that you're an overprotective parent and find out what you can do to ease up on the reins. Are you keeping your child close, a little too close? Ruling over every single aspect of his life isn't good for him or you either. Micromanagement can stop your child in his tracks and prevent him from finding those interests he would like to pursue. Open the door to let him tell you what he would like to do, from taking up a new hobby to having a sleepover at a friend's house. No one wants to fail. We sometimes question ourselves because our desire to be perfect leads us to think we're failing as parents. That fear of failure means we sometimes go out of our way to make sure our children don't fail either. Realistically, though, your child is going to fail. And that's okay. Let him experience failure and watch him bounce back. He'll probably surprise you. So if he doesn't make the football team, he may train harder and become the school's next track star. If he doesn't turn in his homework because you weren't there to nudge him to do it, he'll face the teacher and work out a way to make up the work. You make his bed. You clean his room. You put all of his clothes away. We all know it can be easier and quicker to just do it all yourself. However, teaching your child responsibility is an important lesson for him. Even the youngest children can pitch in to help out while learning early lessons in responsibility. Take the time to teach him how to clean his room, even if that means you help him one last time and take pictures so he'll remember exactly what it's supposed to look like when it's clean. Assign age-appropriate chores throughout the house to get everyone to do their fair share. It breaks your heart to see your child get upset, whether it's over a boo-boo or another child who's mean to him. We want to fix those hurt feelings and that usually means we overcompensate in the consolation department. It's not that you want to spoil your child to make him feel better. It just happens when we overly-console our children and don't let them work through their emotions to self-soothe. That doesn't mean you can't be there for your child. Kiss those boo-boos. Give him a warm hug as you talk about what that other child did to hurt him. Just don't go overboard with a trip to the ice cream shop, a new game from the toy store, and a night at the movies with all-you-can-eat popcorn for dinner over one minor incident. But Nathan is such a nice boy. Your child really should be best friends with him. How wonderful it would be if we could pick and choose our child's friends. Then again, we wouldn't want our parents picking and choosing our friends now, would we? While it doesn't hurt to break the ice for our kids sometimes to introduce them to other children, that doesn't mean we can force them into a friendship just because it would be oh-so-great if your best mom friend's kids were besties with yours. There is a good reason to interfere when necessary, though. So-called friendships that are harmful, such as another child physically or mentally harming your child need to be addressed, without a doubt. 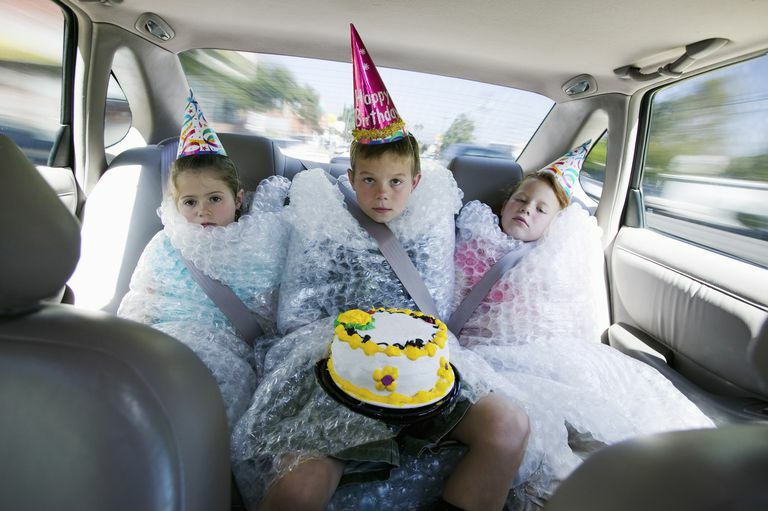 Keeping your kids safe should always be a top priority. Scaring him half to death with every little thing he does isn't always the best policy, though. If you find you're continually spouting "Don't!" and "Stop!" at your child, "don't" do that and try to "stop" yourself. All your child hears are the negatives coming from all directions with everything he tries to do. If he's playing in the street, obviously you'll want to tell him to stop. If he's headed up the five-rung ladder at the playground for the 100th time, you can take a break, watch carefully, and know he's got this. He wants to try baseball this year but you know he's really good at soccer. He wants to be on the math team with his best friend but you know his strength is in geography. He wants to go to a different summer camp instead of the same camp he's gone to for the past four years. Sometimes we absent-mindedly block our kids from branching out on their own. It's all right if he's not that great at baseball but really wants to try. It doesn't matter if his main reason for joining the math team is because his buddy will be his teammate. And if he wants to go to a different summer camp to explore something new, that's okay too. Let your child make some of his own decisions regarding his interests and pursuits. He'll enjoy the freedom and become a more independent person, which is what we all want for our children. Your child's teachers are on speed dial so you can frequently get an update on how he's doing in class. He can't go to his friend's house down the street without you calling every hour on the hour. You're always asking if he's okay and if there's anything you can do for him. As doting parents we sometimes over-dote. We only want to make sure they're doing well but that can lead to us smothering them and freaking out when they're out of sight. Yes, you should touch base with your child's teachers. Of course, you should check to make sure your child made it to the friend's house. Do talk to your child to see how he's doing. Just balance all of these check-ins so you're not making yourself and everyone around you crazy with a continual need for reassurance. If only life was filled with sunshine and unicorns. Today's children are playing shoot-'em-up video games we never would have dreamed possible to create. They're faced with dangers we didn't have to worry about and seeing images on TV that would have only been on paid cable channels after midnight when we were younger. You absolutely want to protect him as long as you can from anything harmful. As much as we would like to let our children grow up in a bubble away from the real world, though, it's simply not possible. It's better for you to teach him about some of the harsh realities of the modern world to make him more street smart without him learning from his friends or getting into a situation where he goes along with the crowd because he has no idea what's going on. That bubble can only protect him so long and you want to make sure you're the one who teaches him about the world around him like only a loving parent can.